For I am not ashamed of the gospel, for it is the power of God for salvation to everyone who believes (Rom. 1:16). “Gospel” means “good news.” “The gospel of God” (v. 1) is the best good news! The gospel is “the power of God for salvation to everyone who believes” (v. 16). The gospel is good news that everyone needs to hear and believe. It’s often said that good news is for sharing. So why is it so hard for most of us to share the gospel with others? What makes the gospel difficult to share is the fact that most people don’t want to hear it. Most people didn’t want to hear the gospel in Paul’s day. 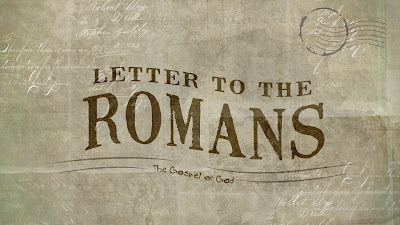 In his first letter to the Corinthians, Paul writes, “The message of the cross is foolishness [i.e., stupidity] to those who are perishing” (1 Cor. 1:18, NIV). There are people who want us to be ashamed of the gospel. Even though most people thought the gospel was “foolishness,” Paul still believed that he was “under obligation” (v. 14) to share it with others. (“I am a debtor,” NKJV). Even though there will be people who will mock the gospel, we must still share it. Paul says, “I am not ashamed of the gospel” (v. 16). We must never forget that the gospel is about a person who was publicly humiliated on a cross. While enduring excruciating pain, he was naked for all to see and mocked mercilessly by his enemies. “To die by crucifixion was to plumb the lowest depths of disgrace; it was a punishment reserved for those who were deemed most unfit to live” (F. F. Bruce, The Epistle to the Hebrews, 338). Jesus didn’t avoid the shame of the cross, he endured it…for us, for our salvation. The gospel is never going to be “cool.” People will try to shame us. But we can’t be ashamed of the one who was humiliated on a cross for us. 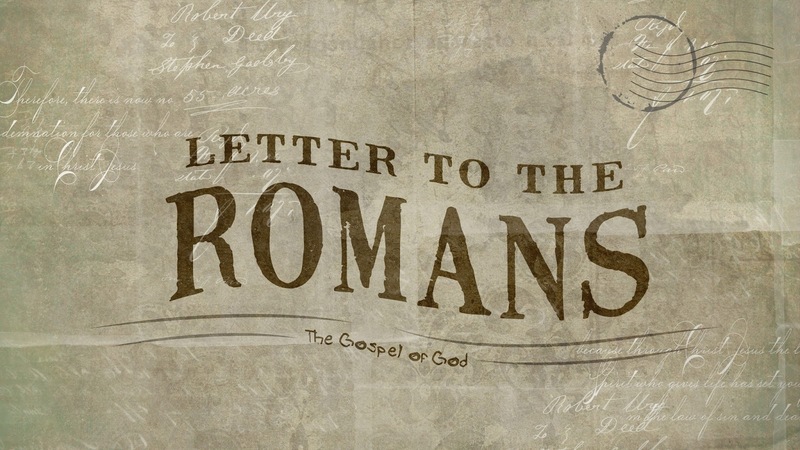 As we go through the book of Romans, you might start thinking, “I’ve already believed the gospel. Can’t we go on to something else?” Look at what Paul writes in verse 15: “I am eager to preach the gospel to you [i.e., believers in Rome].” The gospel is not only for everyone who has not yet believed but also for everyone who has already believed. We can’t leave the gospel and go on to something else. It’s when we forget about the gospel that we drift away from righteousness (i.e., loving God and others, “the obedience of faith,” v. 5). The gospel gives us the desire to surrender our lives to God. “The love of Christ controls us, because we have concluded this: that one had died for all, therefore all have died; and he died for all, that those who live might no longer live for themselves but for him who for their sake died and was raised” (2 Cor. 5:14-15). The gospel gives us the desire to love others. “Walk in love, as Christ loved us and gave himself up for us” (Eph. 5:2). The gospel gives us the desire to give. “For you know the grace of our Lord Jesus Christ, that though he was rich, yet for your sake he became poor, so that you by his poverty might become rich” (2 Cor. 8:9). The gospel gives us the desire to rid ourselves of self-centeredness. “Do nothing out of selfish ambition or vain conceit. Rather, in humility value others above yourselves, not looking to your own interest but each of you to the interests of the others. In your relationships with one another, have the same mindset as Christ Jesus. Who, being in very nature God, did not consider equality with God something to be used to his own advantage; rather, he made himself nothing by taking the very nature of a servant, being made in human likeness. And being found in appearance as a man, he humbled himself by becoming obedient to death—even death on a cross! (Phil. 2:3-8, NIV). The gospel gives us the desire to forgive. “Be kind to one another, tenderhearted, forgiving one another, as God in Christ forgave you” (Eph. 4:32; cf. Col. 3:13). The gospel gives us the desire to avoid sexual sin. “Do you know that your body is a temple of the Holy Spirit within you, whom you have from God? You are not your own, for you were bought with a price” (1 Cor. 6:19-20). The gospel gives husbands the desire to love their wives. “Husbands, love your wives, as Christ loved the church and gave himself up for her” (Eph. 5:25). We must share the gospel with others, but we must also preach it to ourselves.